Interview, giveaways, and pics from my panel! 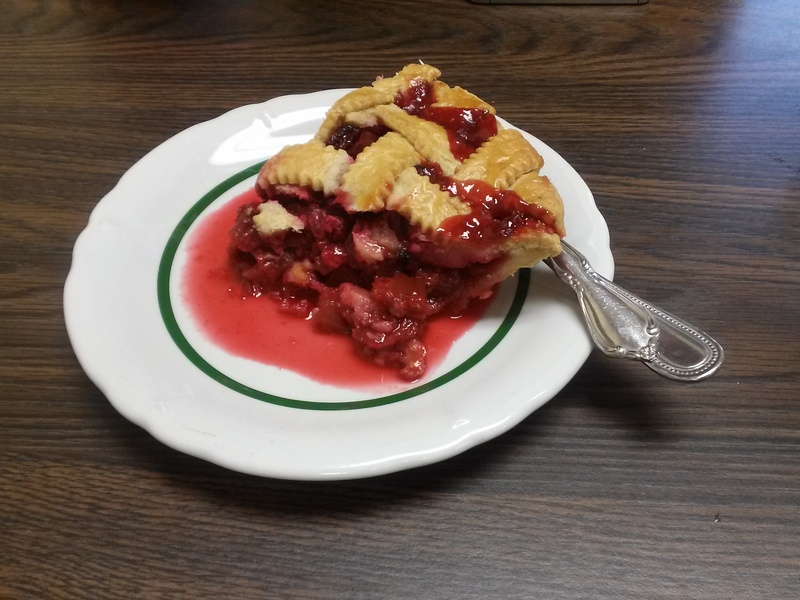 Over at the excellent cooking blog kitchen frolic, Stephanie has kicked off a new Q&A series today by interviewing yours truly. 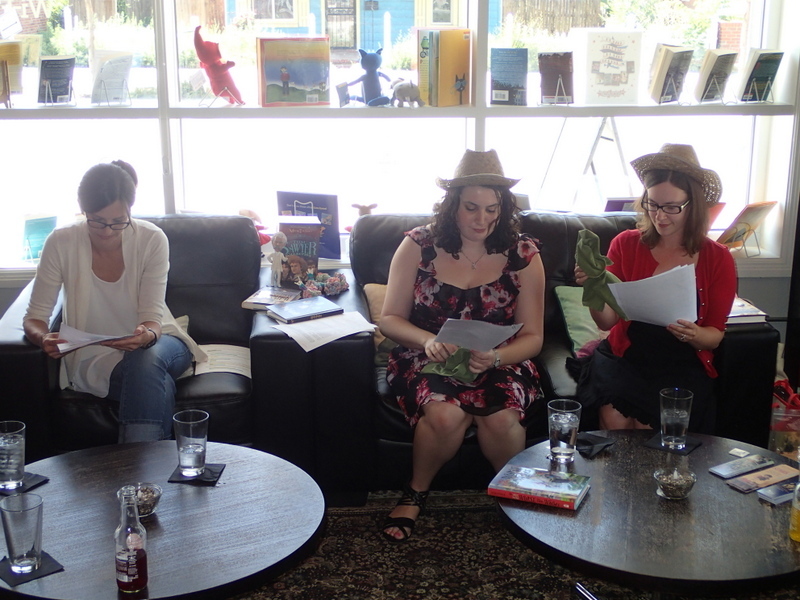 We chat about writing, food, camels, and what’s coming in the All Four Stars sequel. 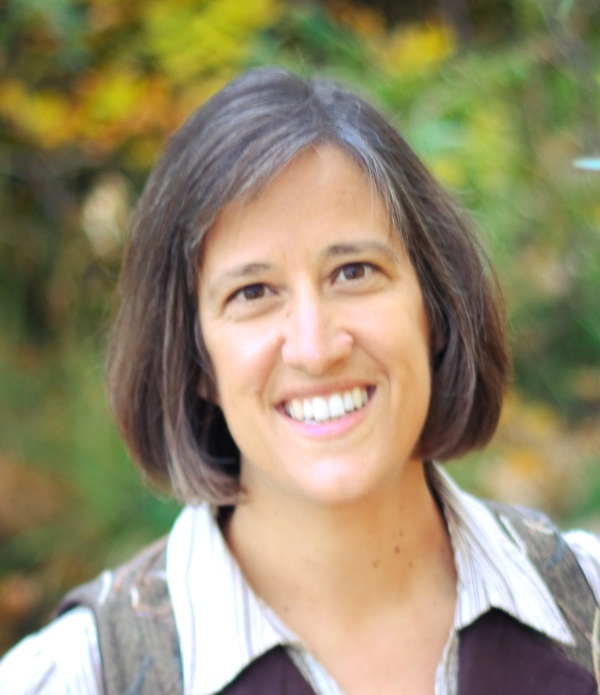 Thank you for being such a terrific AFS supporter, Stephanie! 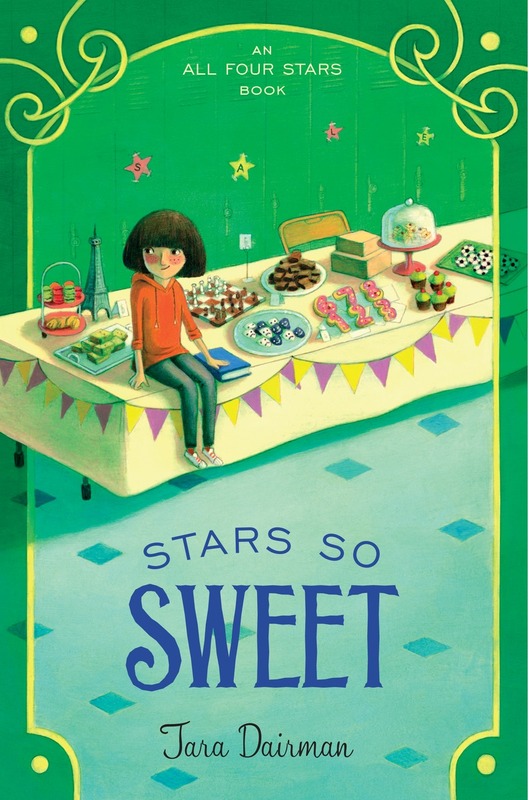 Also today, my fellow 2014 debut author Linda Vigen Phillips has a lovely review of All Four Stars up on her blog. She will also be giving away an AFS swag pack to one lucky commenter, so feel free to leave a comment if you’d like to enter to win! Speaking of giveaways, I also have a GoodReads giveaway running this week for one signed copy of All Four Stars. It was SO much fun. Many thanks to our Colorado writer friends (and some new young fans!) who attended. 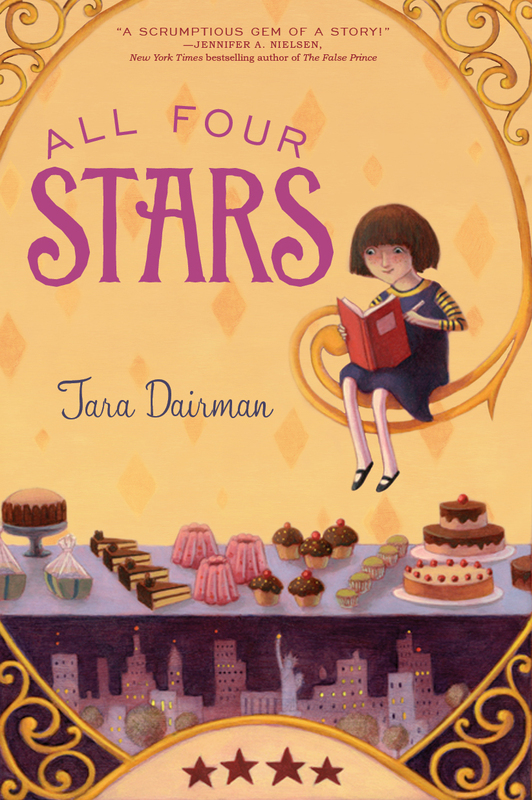 And if you’re looking for a signed copy of All Four Stars, BookBar has a few left! Event at BookBar in Denver today! Just a reminder that I’ll be at BookBar–the lovely bookshop/wine bar in Denver’s Highlands neighborhood–today at 2 pm! 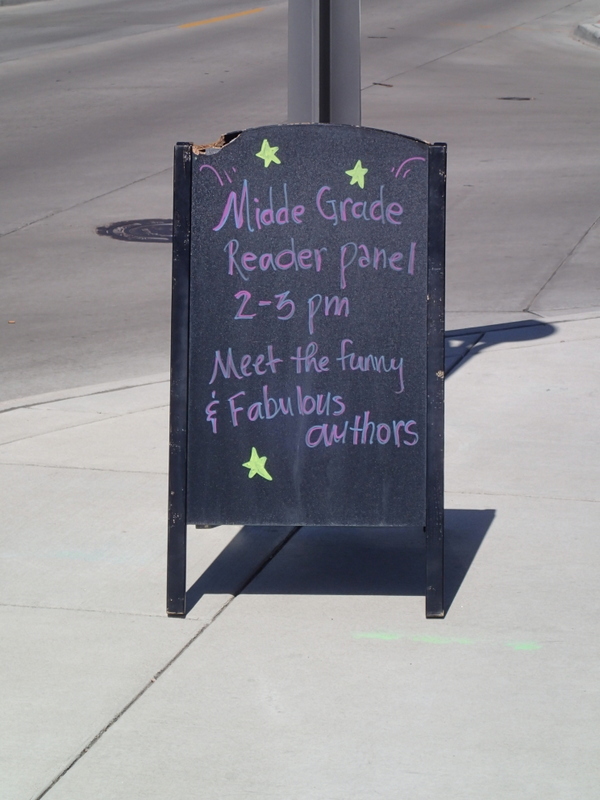 I’m doing a middle-grade panel along with my fellow 2014 debut authors Jessica Lawson (The Actual and Truthful Adventures of Becky Thatcher) and Lauren Magaziner (The Only Thing Worse Than Witches), and we have funny readings planned as well as trivia with prizes. Eatin’ and Authorin’ All Over Texas! Hello, friends! As you may know, I spent last weekend traveling around Texas with my husband and with fellow middle-grade author Rebecca Behrens (whose debut novel, When Audrey Met Alice, is one of my absolute favorite reads this year). 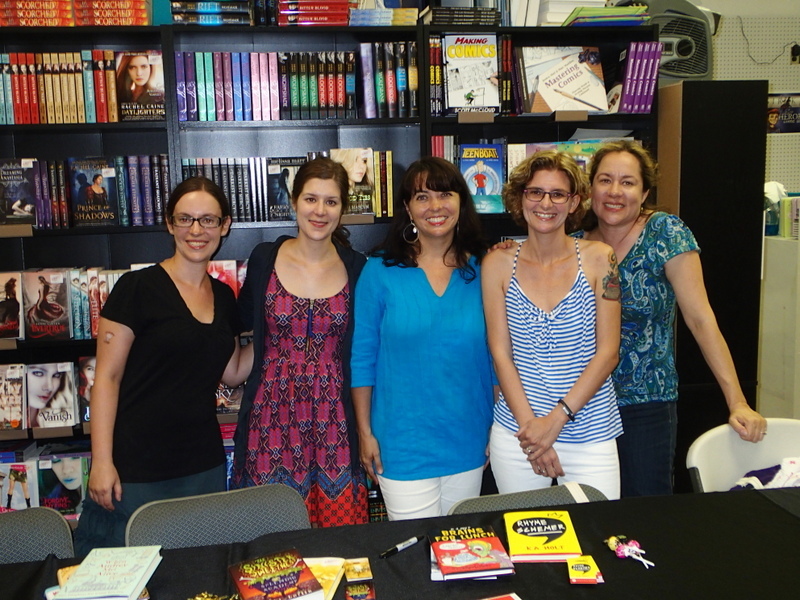 We did three author events together and ate a whole lot of very healthy food. Here are some pics! 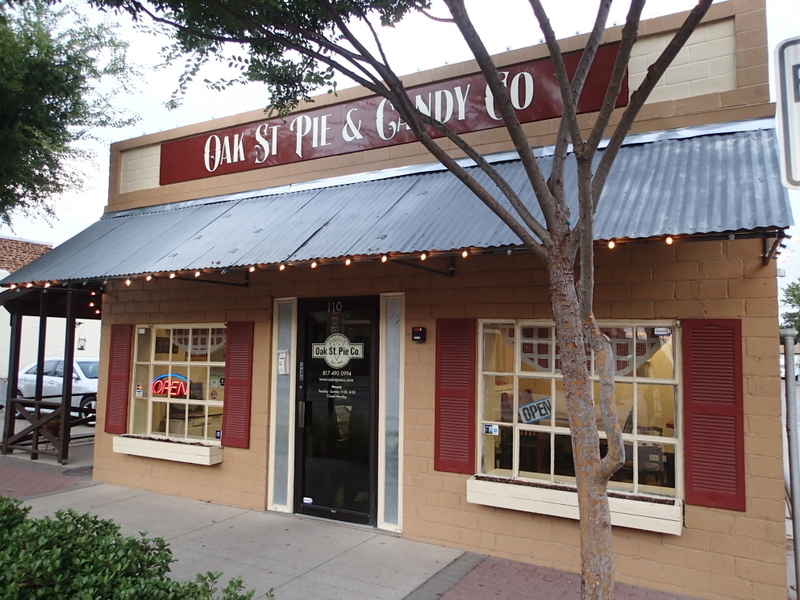 Texas is known for having amazing barbecue, and we made sure to eat as much of it as possible. 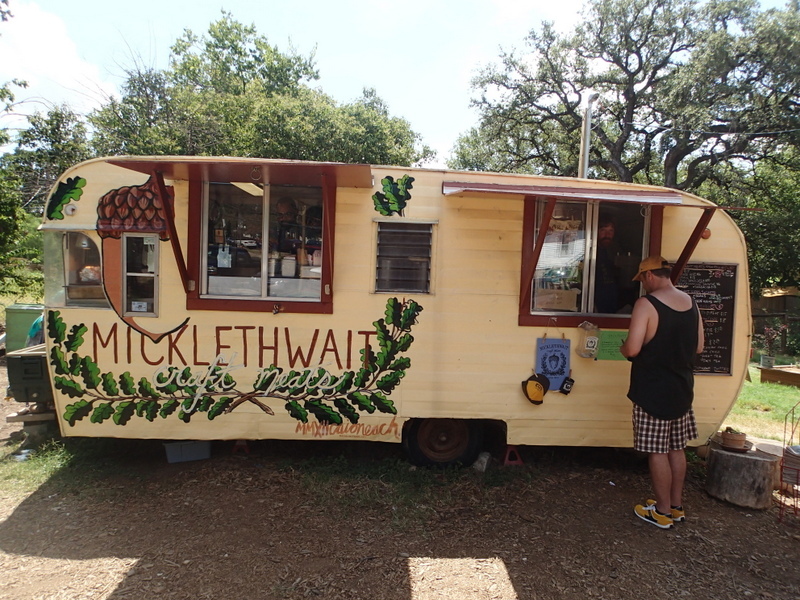 The first stop was Micklethwait Craft Meats in Austin. 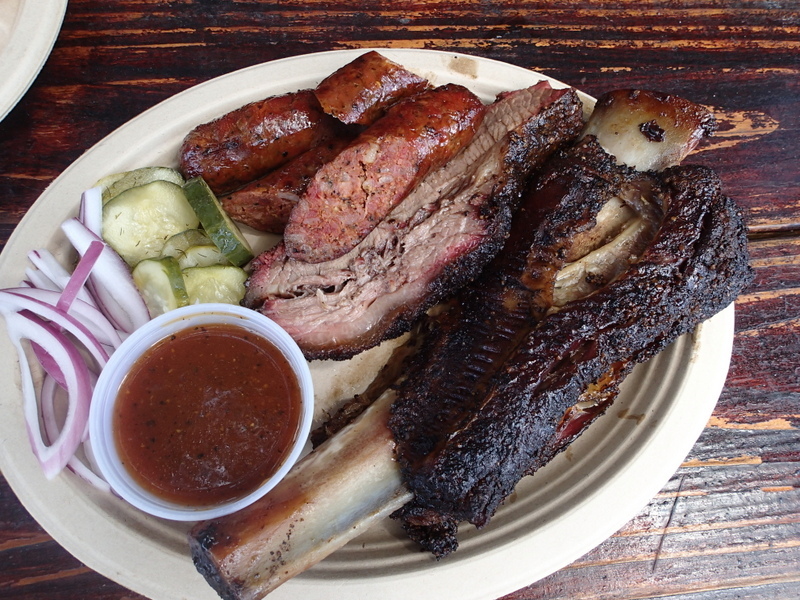 Brisket, enormous beef rib, and pork belly sausage. A delicious start to the trip. Ice cream break! (Texas is HOT.) 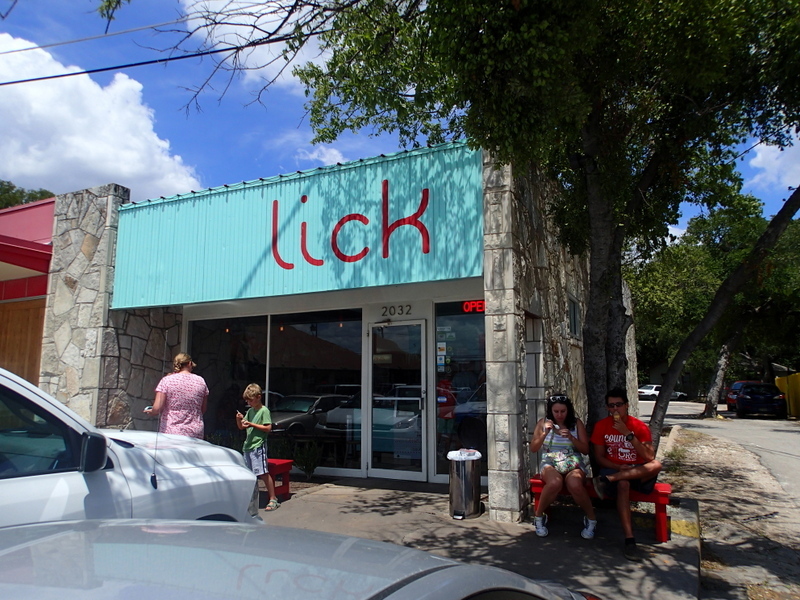 Austin’s Lick is known for having interesting, locally-sourced flavors. My favorite Lick flavor? Caramelized Carrot with Tarragon. 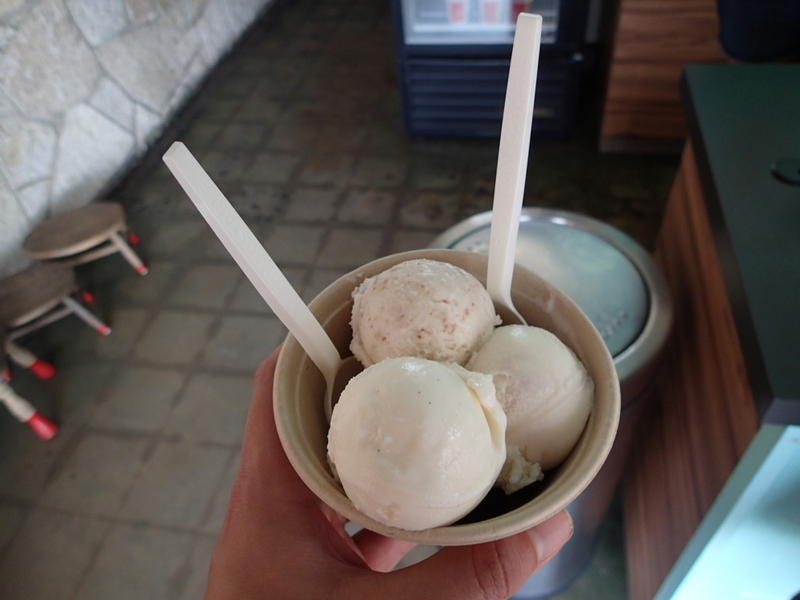 Pretty sure it was my first time eating tarragon in ice cream. 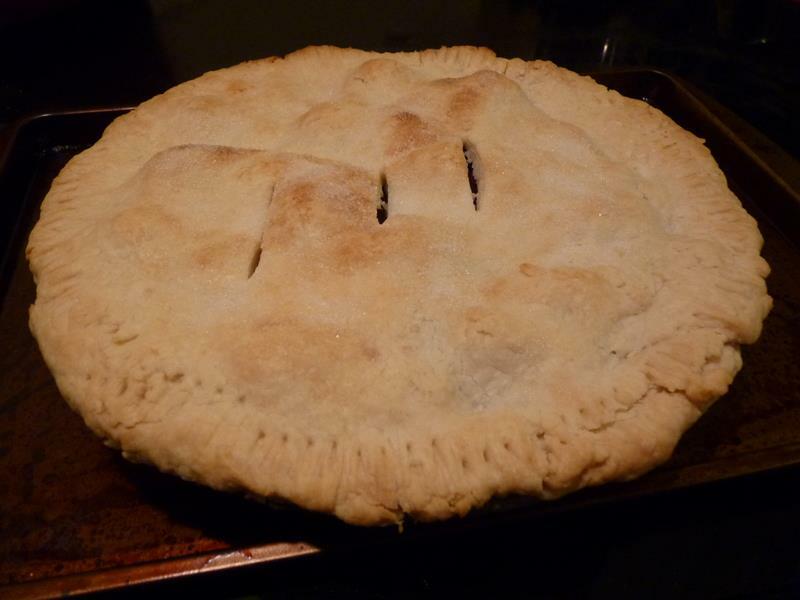 It was surprisingly fantastic. Hill Country Honey ran a close second. 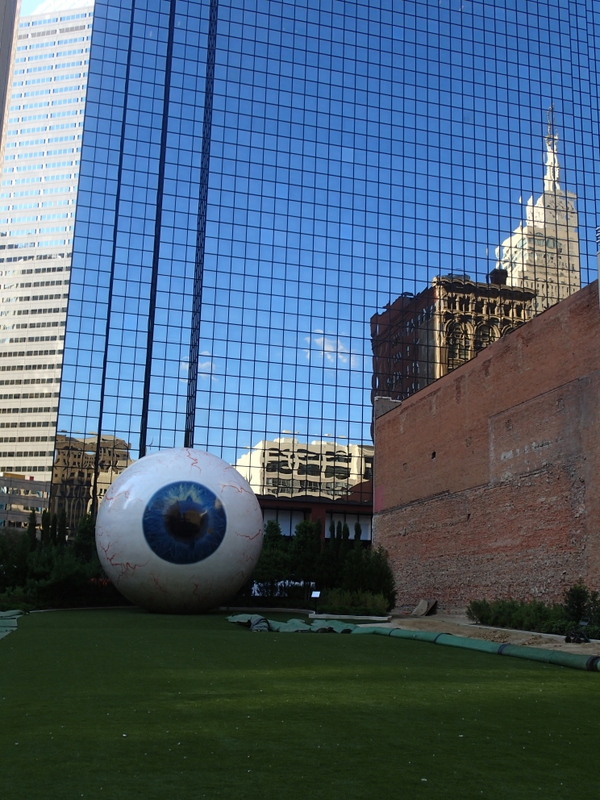 On to Dallas, where a big blue eye greeted us. 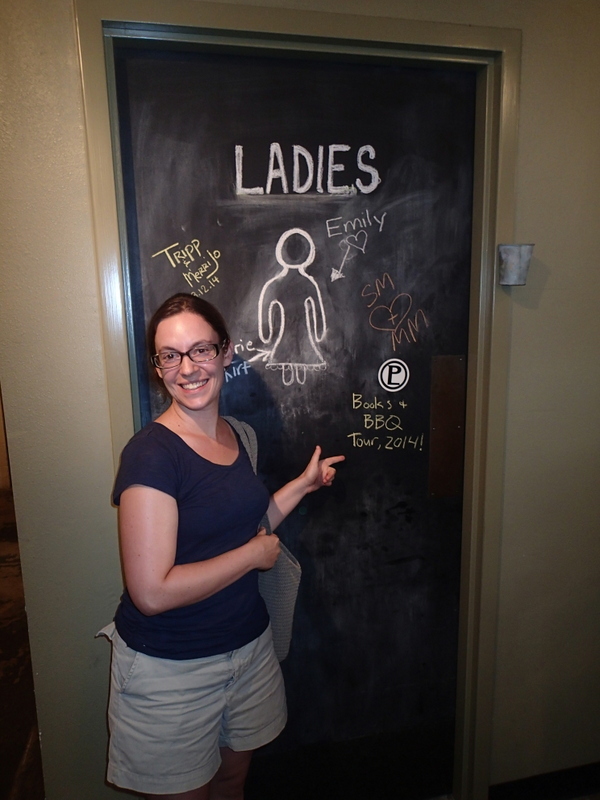 Pecan Lodge also lets you doodle on the bathroom door. 🙂 I left a little mark commemorating our books and bbq tour. 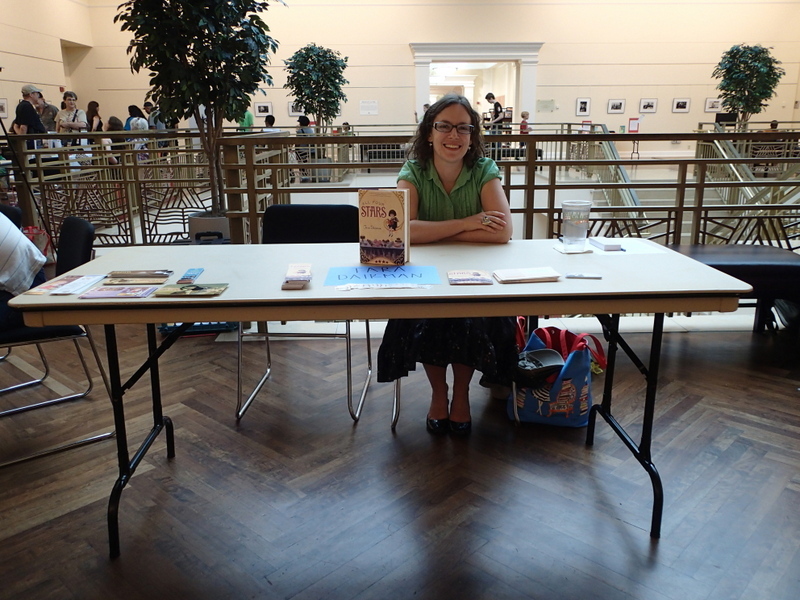 Our first book event was the Author Roundup at the Fort Worth Library. They set us each up with our own little station! Here’s Rebecca, looking adorable in her racecar dress (printed with just the type of car that Alice Roosevelt used to drive). 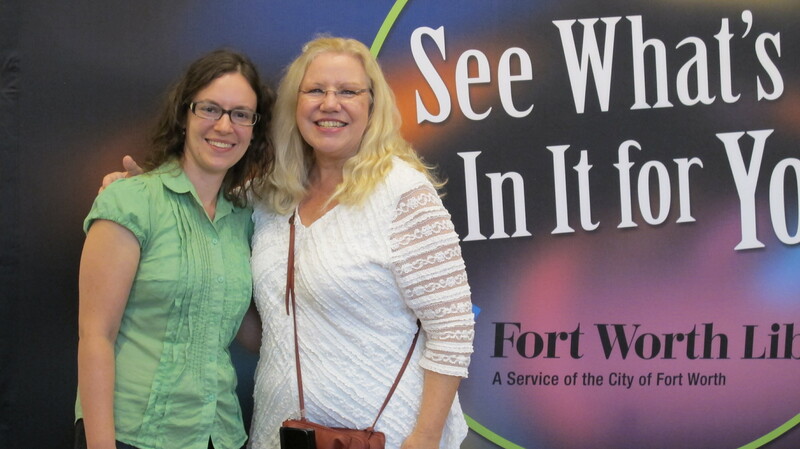 Our fellow OneFour Kidlit debut author Christine Kohler drove all the way in from West Texas just to see us. Her debut YA novel, No Surrender Soldier, is fantastic. 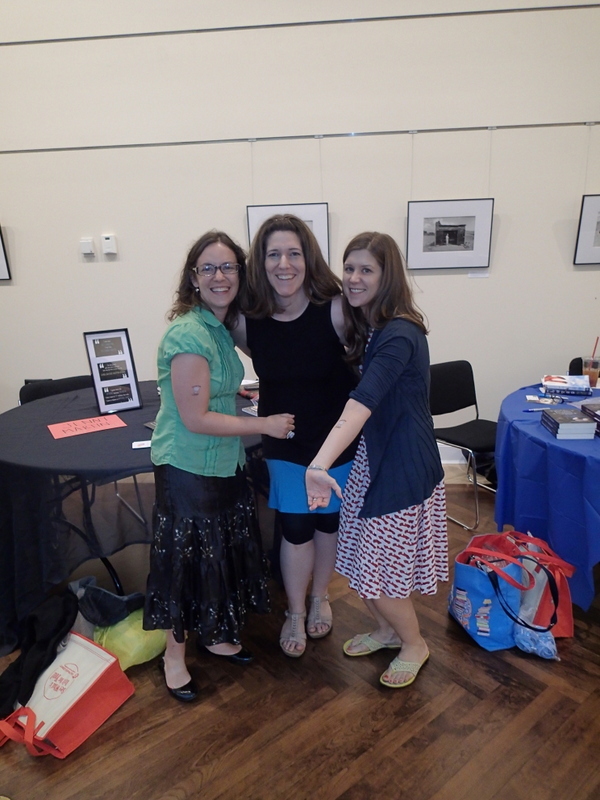 We also got to meet 2015 debut author Jenny Martin, whose YA novel is called Tracked. Here we are making a Jenny sandwich and showing off our All Four Stars temporary tattoos. 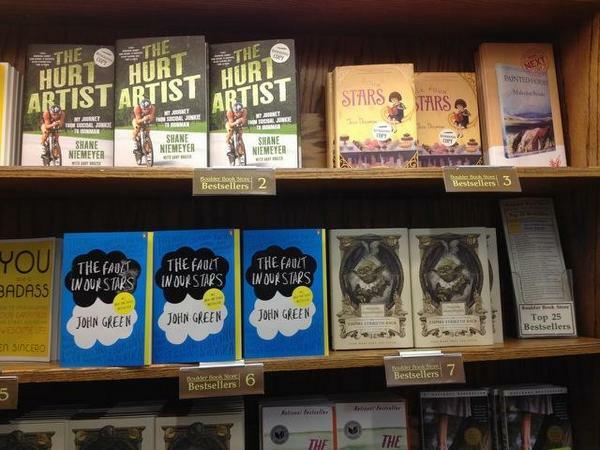 One of the library’s copies of All Four Stars on the display table. This was my first time seeing the book jacketed in library plastic–a very exciting moment! 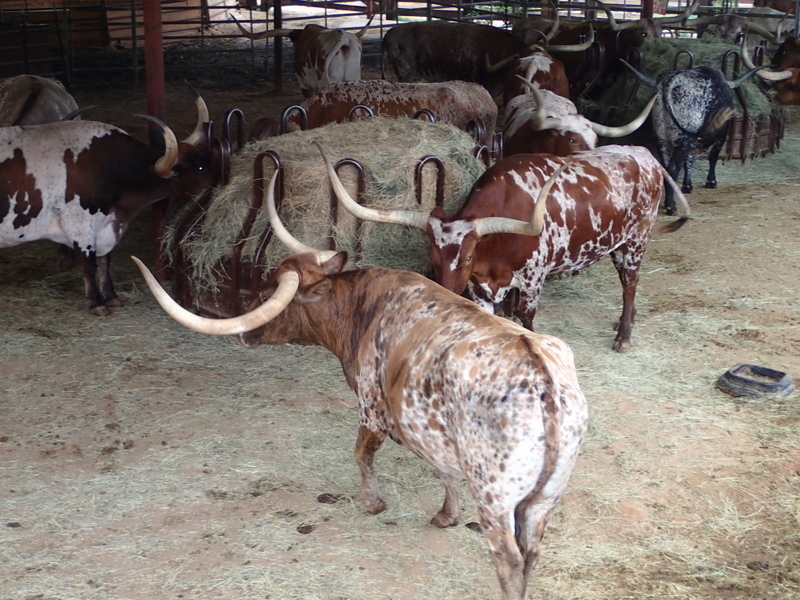 Where we got to see some lovely longhorns. 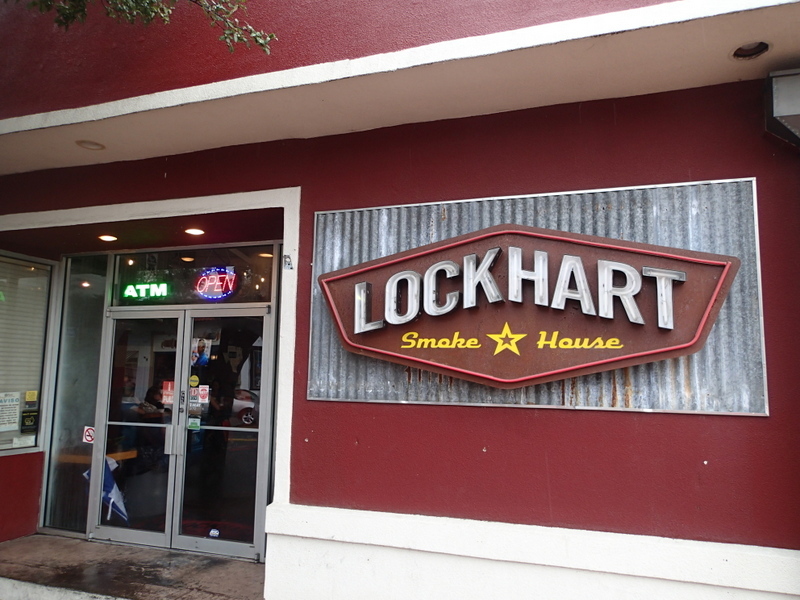 Then on to Lockhart Smokehouse in Dallas… Where we ate some lovely longhorns. 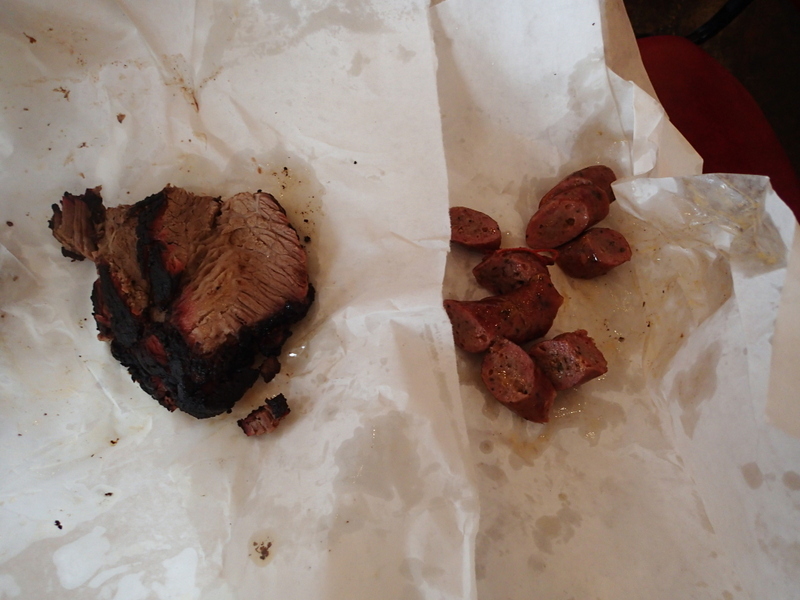 Tasty brisket, plus sausage from the famous Kreuz Market. 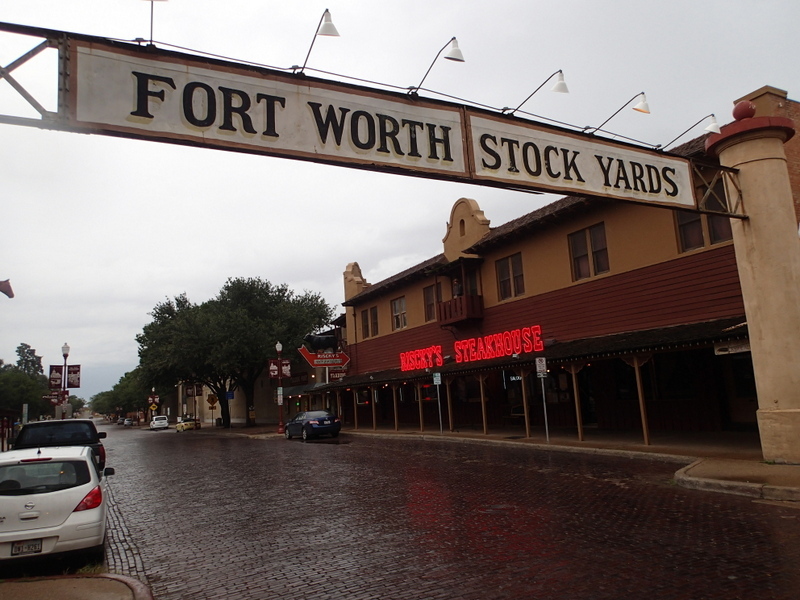 Fueled up on meat, it was on to Fort Worth’s Barnes & Noble for our next author event, where we teamed up with the wonderful Texas authors Polly Holyoke and K.A. Holt. Panel time! We talked about writing convincing settings, our long paths to publication, and lots of other good stuff. The next day found us back in Austin, seeking yet more barbecue. 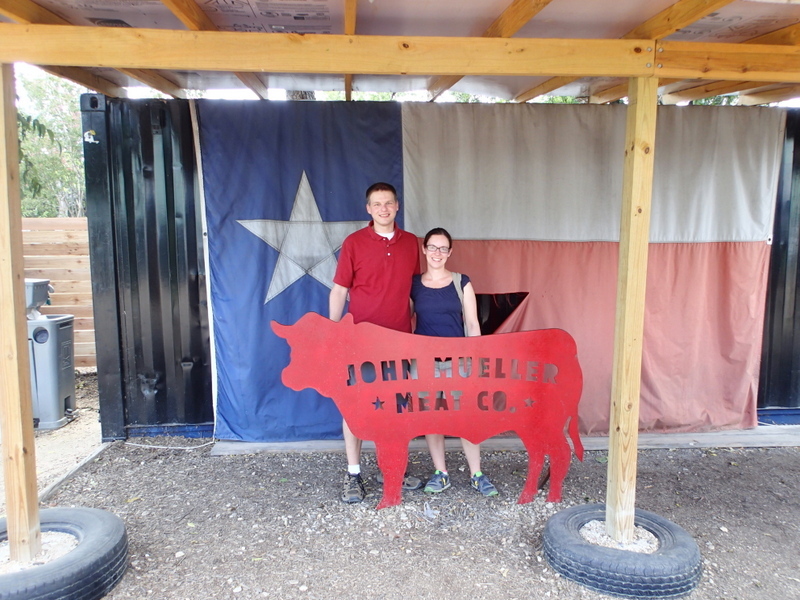 We ended up at John Mueller’s, where we had some delicious brisket (noticing a trend? ), pork ribs, and cheesy squash. Thanks to Rebecca for snapping this pic of me and the mister. 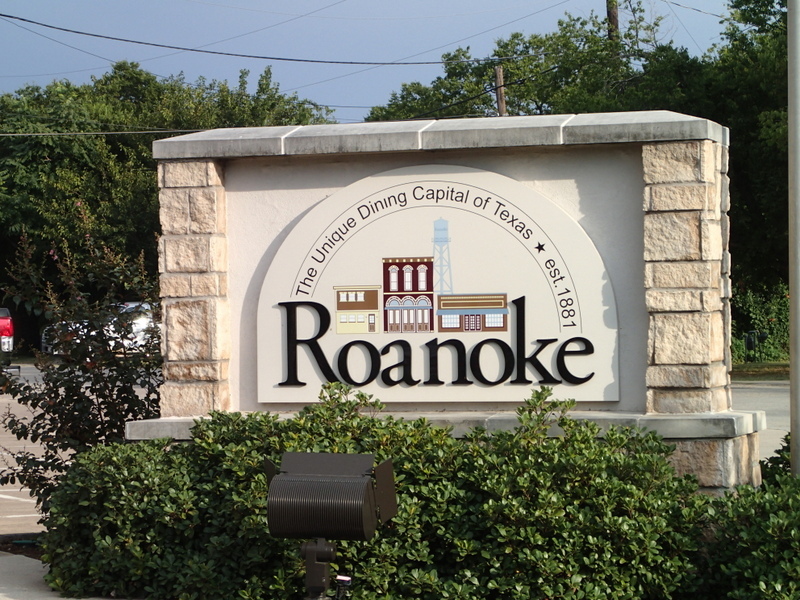 After a very interesting visit to the LBJ presidential library, we headed up to Round Rock for our final author event. 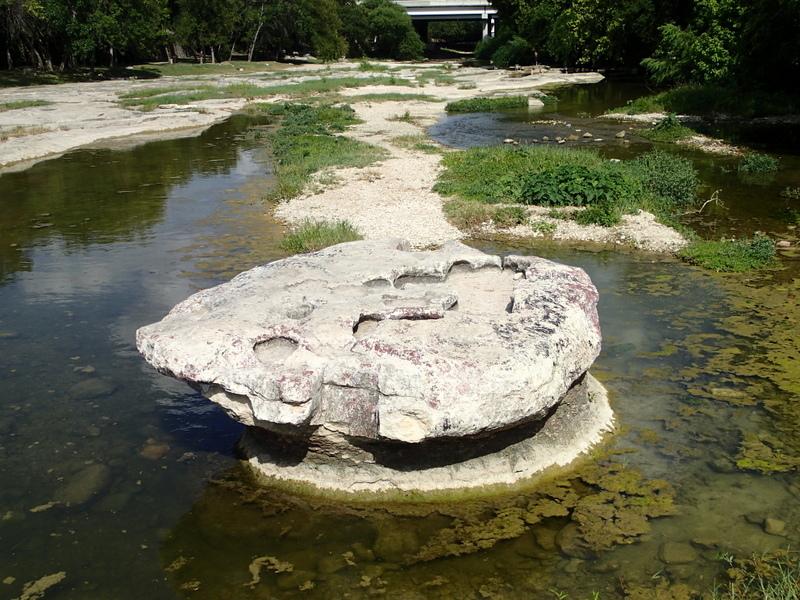 But first, there was time to seek out the famous round rock itself! 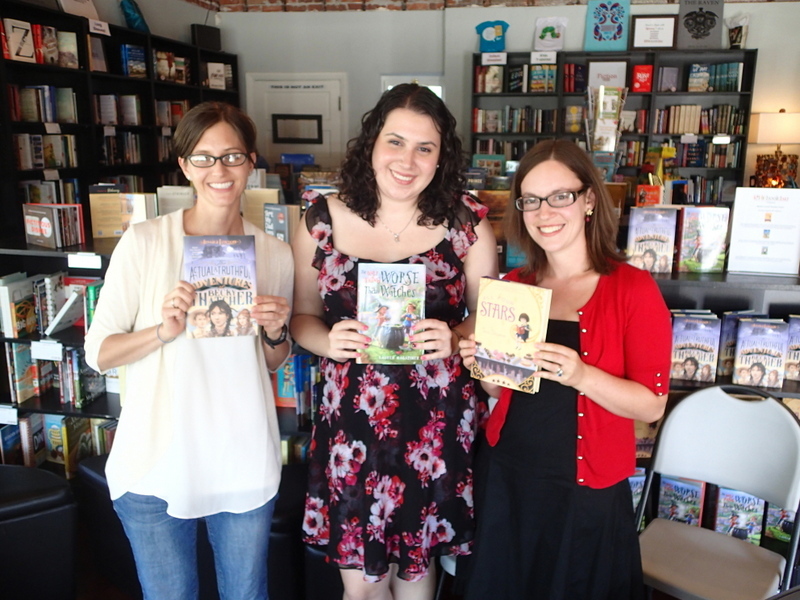 Here we are at The Book Spot with our fellow MG panelists Nikki Loftin, K.A. Holt, and Jennifer Ziegler. 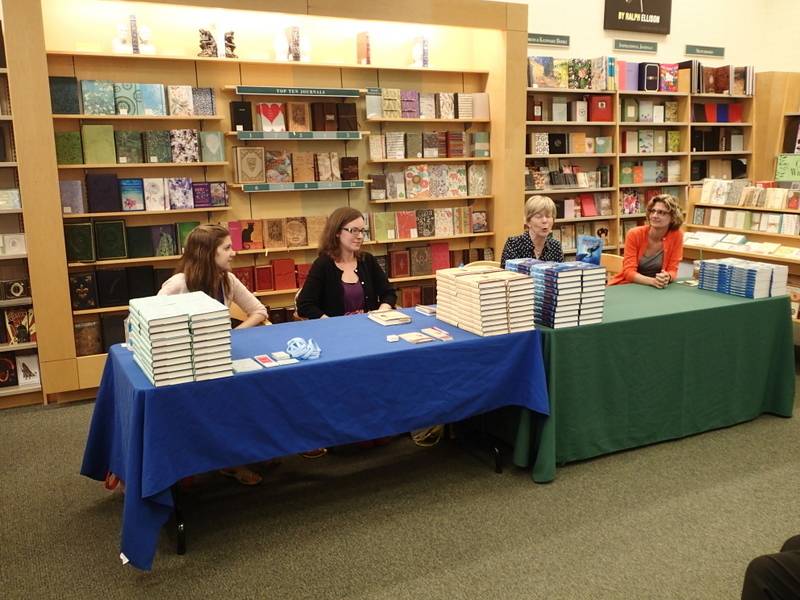 It was a fantastic panel, culminating in a fun trivia session with prizes. The trend of wonderful people traveling a long way to see us continued! 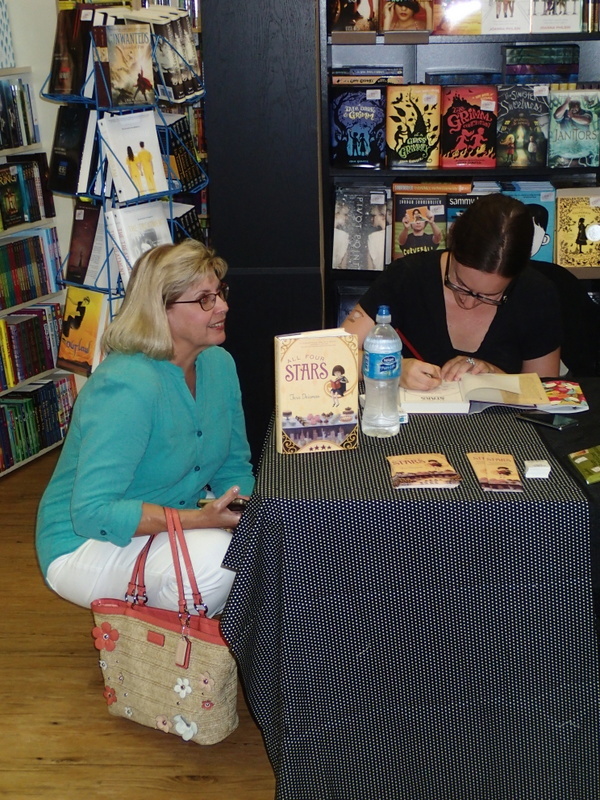 Here I am signing a book for my friend Linda, who came all the way from Houston for the event. The bookstore was awesome and got cakes for the party. 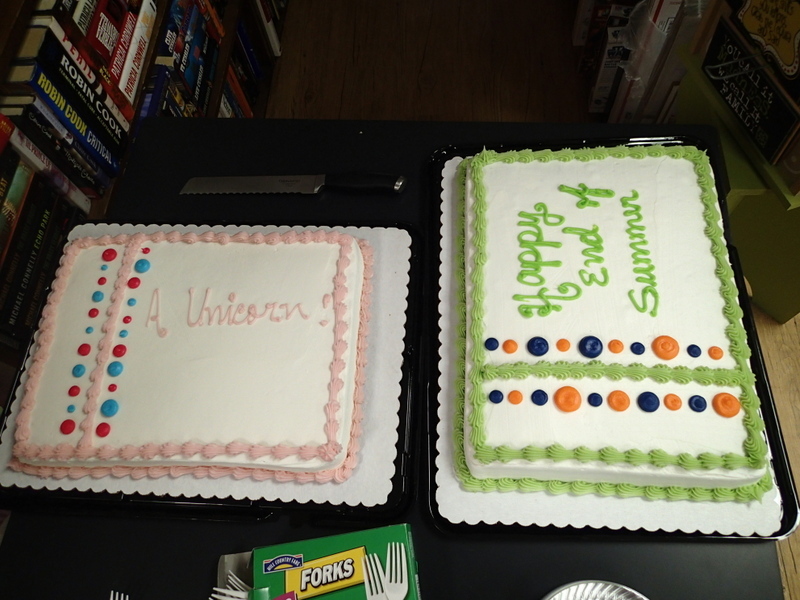 They asked for one cake that said “Happy End of Summer” and one that had a unicorn on it. This is what the bakery delivered. 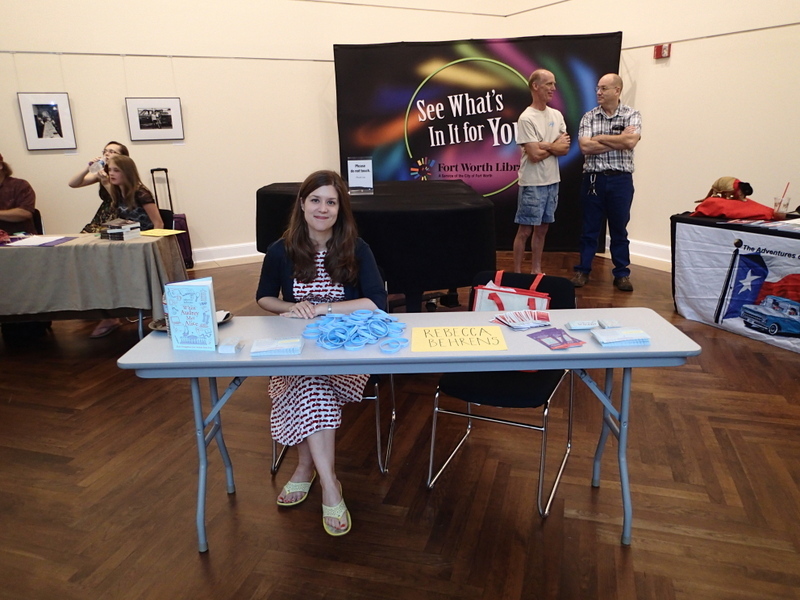 #oops 2015 debut author (and my fellow Emu!) Donna Bowman Bratton joined us for a post-panel Tex-Mex dinner. 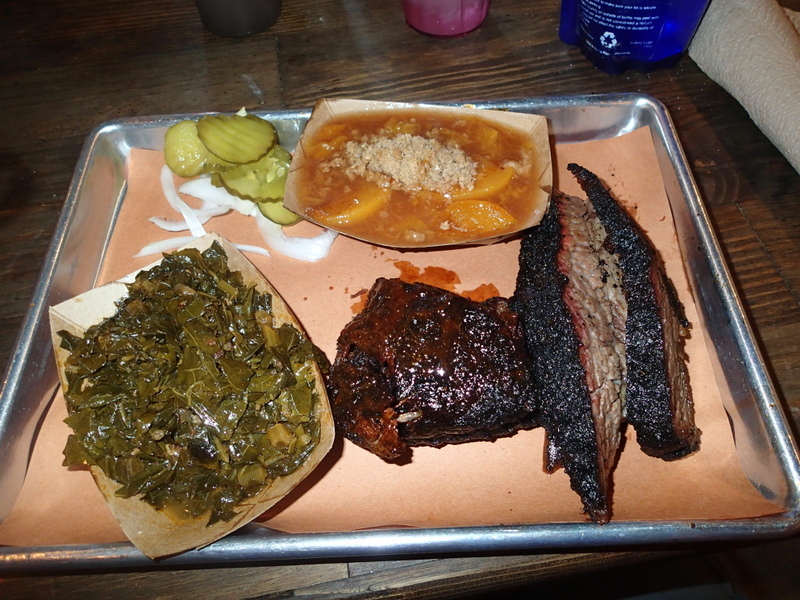 While it was hard to eat a meal that contained no BBQ, we did our best to power through. Texas was a blast–and I’m not just talking about the blast of furnace-like air that hits you every time you step outside in August. (Seriously, it was 100 degree every single day we were there.) 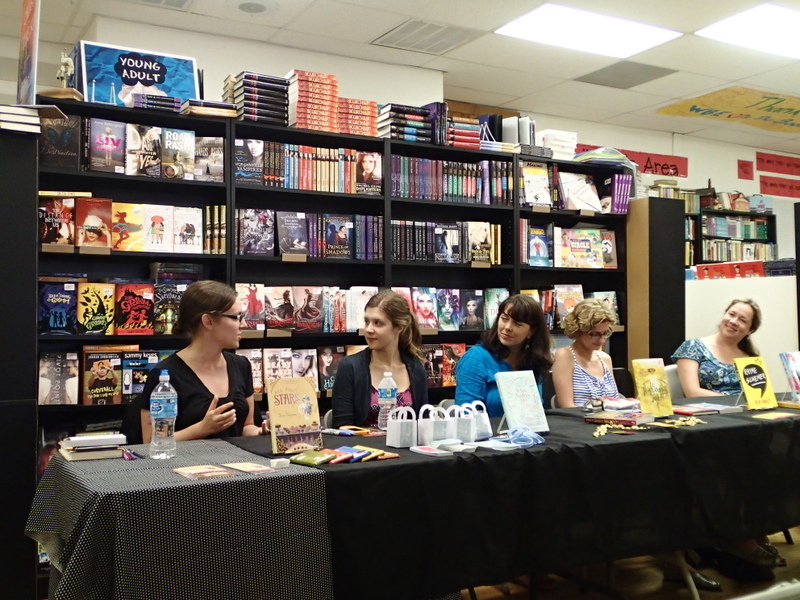 Thank you so much to our fabulous co-panelists, the amazing booksellers and librarians who invited us in for events, the hard-working bbq pitmasters and dessert artisans who swelled our waistlines, and the friends who made us feel so very welcome. Can’t wait for next time! P.S. If you are looking for a signed copy of All Four Stars, The Book Spot in Round Rock and the Barnes & Noble in Fort Worth each have a stash of them now. Happy reading! 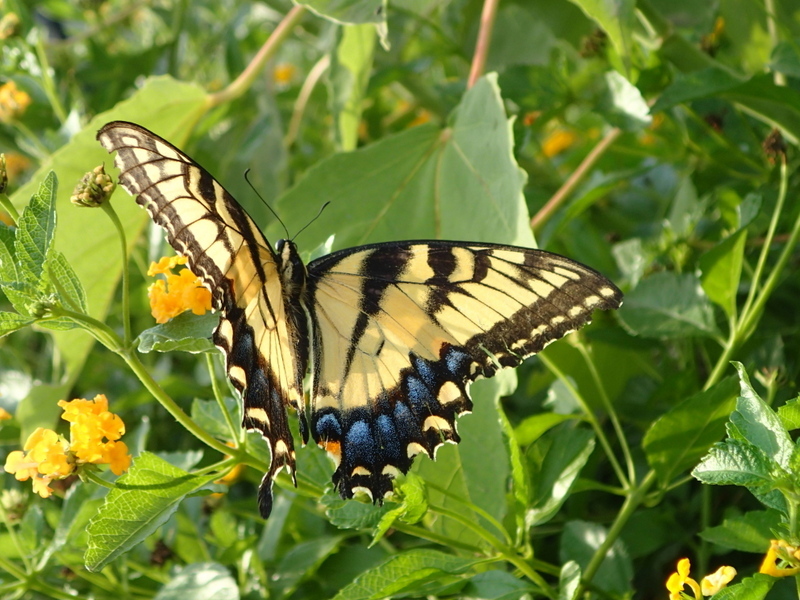 Upcoming events in Texas, Denver, and NY! Or, better yet, come out and meet me in person. I have several events coming up, and you can find all of the info on my events page! 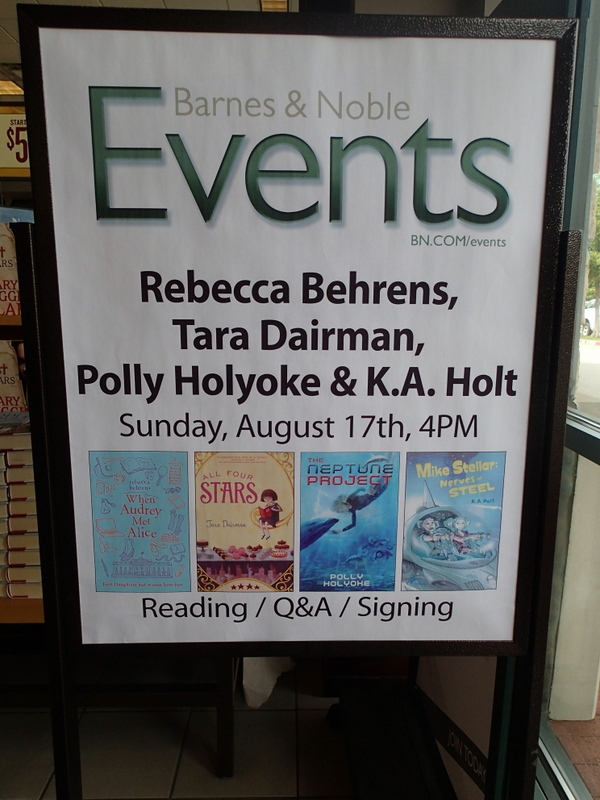 In brief, color-coded fashion: I’ll be in Fort Worth and Austin, Texas doing panels with other awesome middle-grade authors (Rebecca Behrens, Polly Holyoke, K.A. Holt, Jennifer Ziegler, and Nikki Loftin!) 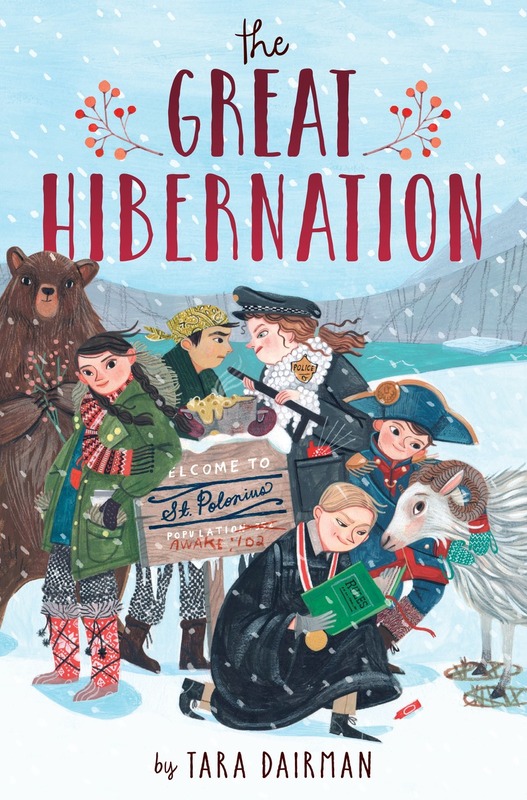 from August 16-18; in Denver at BookBar with Jessica Lawson and Lauren Magaziner on August 24; and at The Voracious Reader in Larchmont, NY (that’s in Westchester) with Rebecca Behrens, Lauren Magaziner, Laura Marx Fitzgerald, and Michelle Schusterman on October 20. I would love to see you at one of these events! 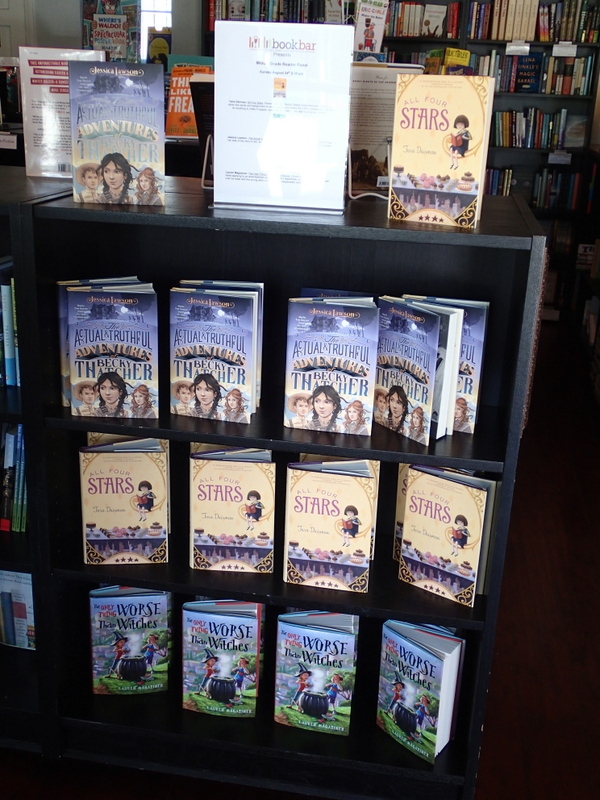 Speaking of events, I had two fantastic launch parties in July for All Four Stars: One at Books of Wonder in NYC, and one at Boulder Book Store in Boulder, CO. What a joy it was to share my book’s publication with so many family members and friends!